This resource comes from a selection of facilitator guides for young people’s workshops to share the learning from the Transition Research Programme. The Transition Programme is a 5-year programme of research which began examining how health services can contribute most effectively to facilitating successful transition of young people with complex health needs from childhood to adulthood. 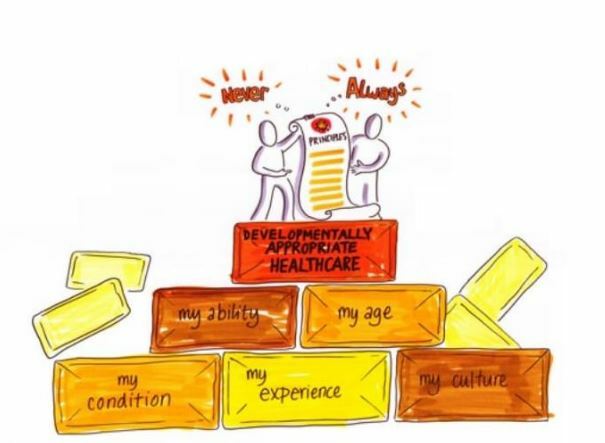 This toolkit about Developmentally Appropriate Healthcare is designed to share the learning from the Transition Research Programme with young people, to help them understand the research and to see if their experience of transition is similar to what the research shows. The guides are shared on the Council for Disabled Children’s website and can be used as a practical guide to facilitate group discussions with young people to help them engage with the findings from the research.